Remembering how battered and sore I felt at the end of the Strathpuffer was important as my narrow tyres glided across the billiard table-smooth tarmac. I had to recall memories of recent wet and incredibly windy rides in the hills north of Manchester as I felt the rays of sunshine and the warm breeze on my back. 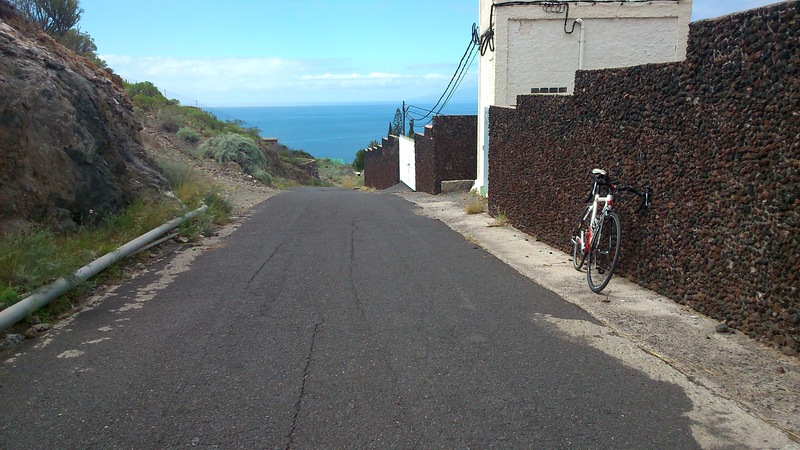 As the sweat dripped from my face onto the top tube of my gleaming white ‘best’ bike while I rode in the searing noon heat of the Canary Islands, I drew comparisons in my mind to the last time I was sat on the turbo trainer in the gloom of the cellar. 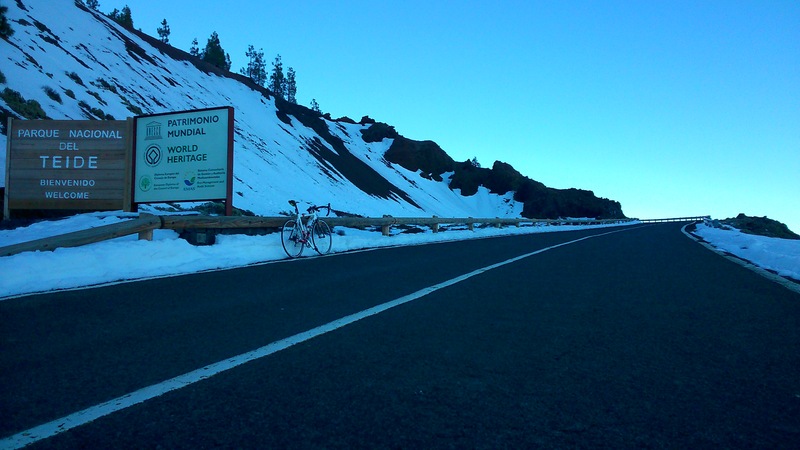 I spent all last week in Tenerife, mostly for a family holiday but also to get some early-season miles in to finally lay to rest my post-Strathpuffer indifference. A chance to shoehorn some quality road cycling in and kick-start my year during a relaxing break, get my tanlines back, spend some time with Deb and the kids, play with some Lego, read a book, eat nice food and mess about in a swimming pool. I was careful that the cycling aspect of this trip didn’t become an all-encompassing thing – I’m only preparing, grabbing back my fitness and enthusiasm at the moment. There was simply nothing to be gained by buggering off repeatedly for 8 hour rides. 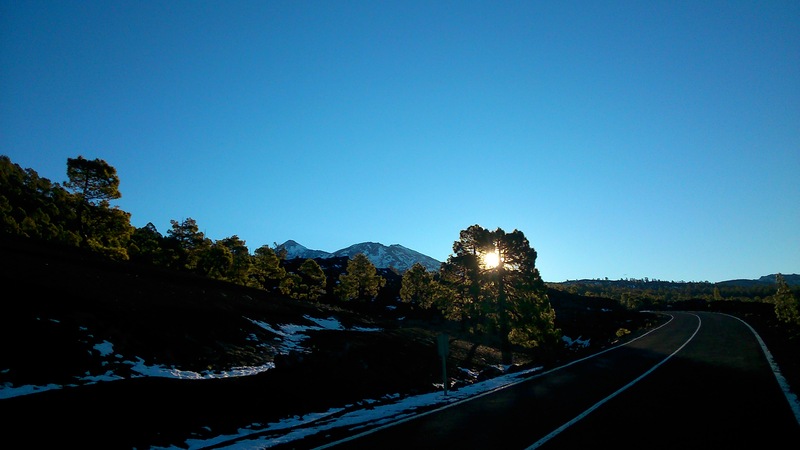 I took some lights, had a couple of early starts, watched the sun rise from the top of Teide and while I made sure that the rides were hard, I kept things under control. 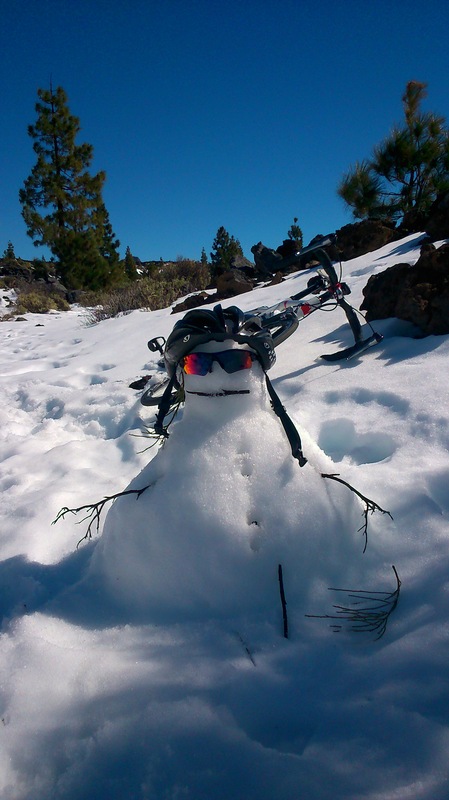 A highlight (and perhaps an illustration of the relaxed mood) was at the end of the customary Massive Climb up the road from sea level to the cable car station at almost 2500 metres I stopped and built a snowman. 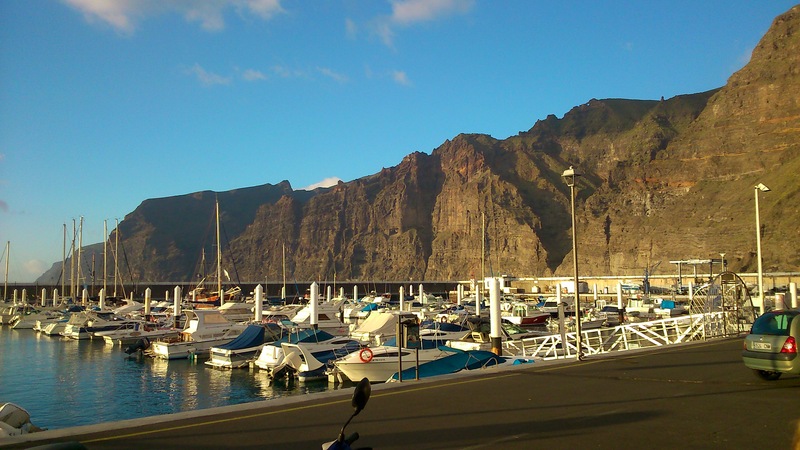 Back at our rented villa, the temperature was in the mid-eighties but up here things were decidedly more wintry. A couple of snaps and an hour long descent later and I was relaxing in the swimming pool trying to cool off. Somehow riding down the A666 from Darwen doesn’t seem anywhere near as good but I’m ready for all that now and much less likely to wonder why the bloody hell I’m bothering at 6am on a rainy, dark Tuesday morning at the side of the road somewhere near Bacup. I finished reading my book too. Even though I’ve started loads, I think this is the first time I’ve actually finished a book in years. Sign of a proper break, that.